Soccer in the purest sense is a team sport - eleven individuals playing as one. That said, in the most fundamental analysis virtually every game situation in some manner or another involves a one-on-one competition —the player with the ball versus the opponent who is responsible for defending him or her. These mini battles waged between opposing players are vital links in the chain of events that collectively determine the outcome of the match. Improving a player’s ability to succeed in one-on-one situations is the primary objective of Soccer Skills and Drills Vol. 1. 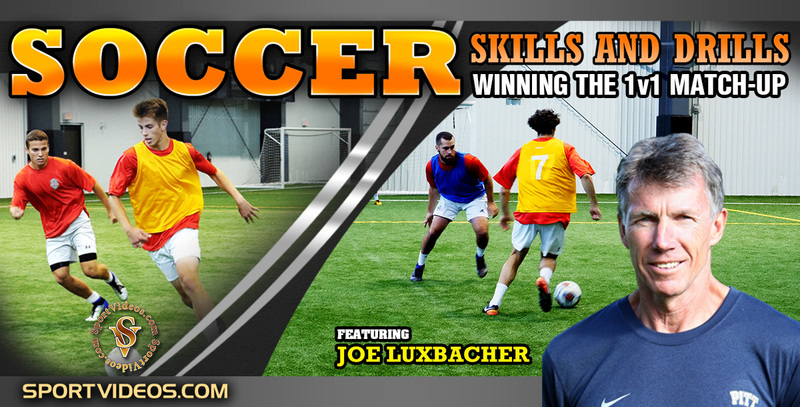 “Winning the 1v1 Match-Up” provides essential information and a series of exercises designed to develop and improve a soccer player’s “tactical speed” in the 1 v 1 situation. Tactical speed refers to the ability to consistently perform skills and make sound decisions under the match-related pressures of limited time, restricted space, and physical fatigue. All elite players and elite teams demonstrate a high level of tactical speed. Players can improve tactical speed through competitive training coupled with a clear understanding of the principles upon which players’ decisions and subsequent actions are based. Individual tactics deal with principles of attack and defense that are applicable in one-on-one (1v1) situations. About the Coach: Dr. Joseph Luxbacher has been involved in the sport of soccer as both a player and coach for more than 30 years. A former professional player in the North American Soccer League (NASL) and Major Indoor Soccer League (MISL), Luxbacher served more than two decades as the head men’s soccer coach at the University of Pittsburgh where his teams won more than 200 times. Coach Luxbacher has twice been named Big East Athletic Conference Soccer Coach of the Year and has earned the “A” Coaching License of US Soccer.